Spiritoons! 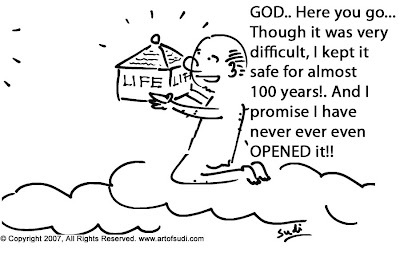 - World's First 'Non-Serious' Spiritual Cartoon Blog: Sudi Narayan's Spiritoon - Life - A Gift ! !